In the streaming age, hype, anticipation, aesthetic, and quantity represent the crux of fan enjoyment. That is to say, the music itself has taken a backseat. See to Brockhampton's rapid ascent to Hip-Hop stardom. At the beginning of the year the All-American boy band was known to only a few thousand, having released their debut mixtape All-American Trash to little fanfare last year. Now, a glance towards Last.fm's weekly streaming numbers will see them place number two in the world, trailing only Taylor Swift. Two spots ahead of Kendrick Lamar, eight ahead of the A$AP Mob, 15 ahead of Frank Ocean. All this attributed to a string of music video-assisted singles leading up to June's Saturation 1 and August's Saturation 2. They've held a firm grip on the summer, with an inconceivable yield that sees a week without fresh material as a lost opportunity. Marketing 101 would tell you that promoting your third LP before dropping your second is PR suicide. 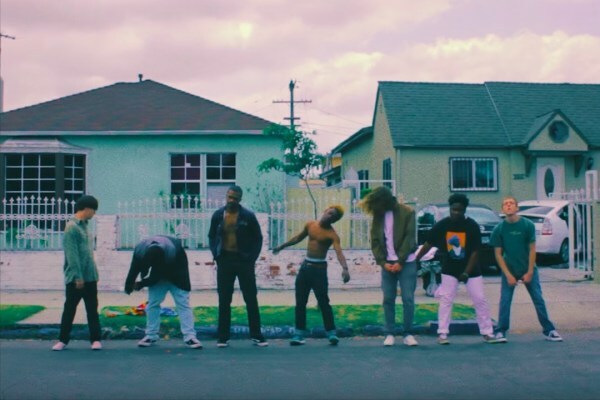 With 'Follow,' carrying the string of uniformly-fitting title lengths, Brockhampton did just that. The genre is caught in their reinvention, analyzing with baited breath their unpredictable longevity. However, even for now, the necessary ingredients for perseverance are unstable at best. Remember Odd Future? Telling of our breakneck society that I even need to ask that, with our deteriorating attention span and all. The parallels between them and Brockhampton are unmistakable. 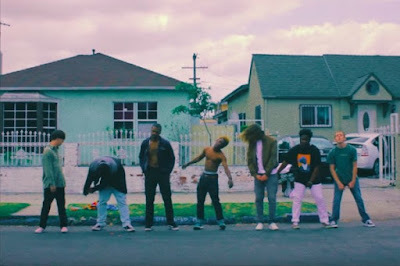 Thanks to a charismatic leader, that time Tyler The Creator, this time Kevin Abstract, an emphasis on a curious style, a swarm of multi-hyphenated art students, and a sudden ambush of Hip-Hop, the two LA collectives share a common bond. Difference being? Five years after rallying the mass of adolescent's looking for an escape, the flame of Odd Future had burnt out. At their rate, Brockhampton's fate seems sooner than that, especially with the lack of stand-out talent and their emphasis on eternal bromance. The Saturation tapes present an opportunity to capitalize on a moment that's understandably fleeting. An abundance of free time, with no weighty past holding them back, led to the horde of music and videos we see today. In some ways, it's a succinct summation of a pre-adult summer. Much like Saturation 1, Saturation 2 is a fun-loving romp between friends who've attracted the attention of many curious onlookers. The similarities though, validation of their slapdash formula. Nothing separates the projects, and nothing intends to. The issues of two months past, sensibly, rear their head once more. Lead singles 'Gummy' and 'Swamp' unveiled their blueprint, one that advertised juiced vitality through a cold and calculated approach. The pattern of posse-centric hyphy cuts with monotonous hooks was becoming clear, with each successive attempt, like the pleonastic 'Queer' or the trite 'Jello,' further evidence of their one-dimensionality. They all vie for the same stamp of approval, failing to diversify their bonds until it's too little, too late, too inferior. Saturation 2 follows the same precedent set by its predecessor, in that conscious introspection plays second fiddle to the invasive bangers instigated beforehand. Unlike that LP, which scattered its highlights throughout, Saturation 2's best moments can be found within the transformation. Two such examples are 'Junky' and 'Fight,' which both succeed by attacking a concept lyrically while adhering to their intangibly-likable sonic principles. The former, right up their with 'Star' as their best track, inverts the formula by keeping listeners on their toes. The over-reliant hook? Nowhere to be seen. Safe, calculable production? Out the window. Abstract's subversive intro only a sign of things to come. 'Fight' carries this erraticism by putting verses first, hooks last, through Ameer Vann and Dom McLennon's racially-charged angst. While these two act as Saturation 2's clear standouts, a few late bloomers vie for attention. With a high ceiling that's eventually crushed by excessive autotune, 'Gamba' utilizes Brockhampton's wide array of voices in much a similar fashion to 'Swim' or the lost, but not forgotten 'Lamb.' Abstract himself likened 'Gamba' to a 2009 fantasy collaboration between Kanye West, Kid Cudi, M.I.A., and Timbaland. The latter's a questionably relation, but the former three all find an influential home here. Elsewhere, 'Sunny' capitalizes on the warm rays of a heatwave by harmonizing without overloading the senses, succeeding in the 'boy band' aspect better than they ever have before. Unfortunately, that's about where the praise stops. The length at which it takes to reach something original lessens the overall project's worth, as every track from 'Gummy' to 'Chick,' apart from 'Teeth' and 'Jesus,' pander to that single-ready formula. These tracks struggle to identify themselves because the structure, pace, or tone rarely shift. Matters aren't made better by the slew of middle class emcees, ones, like Matt Champion or Merlyn Wood, who stick to their pre-arranged styles, from the lyrics to the flows to the annunciation, without branching out when a new track arrives. 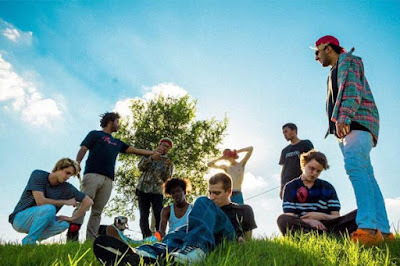 In some ways, the efforts of the rapping and production halves of Brockhampton form a vicious cycle. The former can't evade redundancies when the latter's recycling templates, while the latter can't risk mood adjustments when the former's insistent on flash over substance. Apart from Ameer Vann's ruminative verse on 'Teeth,' one that even follows his own pattern from Saturation 1's '2Pac,' the first memorable piece of Rap comes when Abstract tears through a quivering string on 'Junky.' And, apart from 'Sweet' and 'Chick,' no hook on the LP excels either. Both verse and hook, Brockhampton's two main ingredients, fail to establish themselves amongst the crowd. Regardless of placement they're all interchangeable due to the prosaic tone carried through the first half. Worst yet, the songs themselves are exchangeable with that of Saturation 1's, down to Bear//Face's solo performance finales in 'Waste' and 'Summer.' Saturation 2 struggles to separate itself from the shadow of its predecessor, relying on the same assortment of skills to provide the same resonate output. Much like that LP, success can be found when the replication is broken. But for now, Saturation 2's nothing more than part two of a project that didn't need a second half.